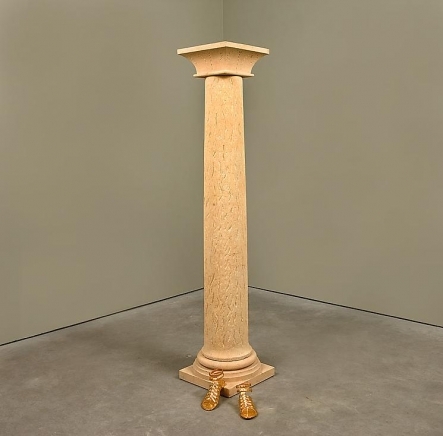 David Nolan Gallery is pleased to announce the opening of Camouflage, an installation of sculptures and prints by the renowned Scottish artist, Ian Hamilton Finlay (b. 1925, Nassau, the Bahamas - d. 2006, Lanark, Scotland). 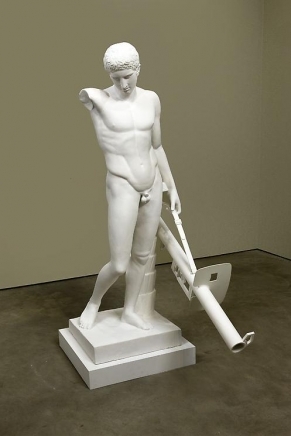 The exhibition at David Nolan Gallery will consist of ten stone, bronze and plaster sculptures and related prints, on view from November 5 through December 12, 2009. A concurrent exhibition of Finlay's printed works from Wild Hawthorn Press will also be on view at Paul Kasmin Gallery at 511 West 27th Street from November 5 – November 28, 2009. Camouflage exists in the natural world as a mode of defense, primarily using coloration to conceal and obscure. It was not until modern times that camouflage became widely adopted in military strategy to thwart enemies. 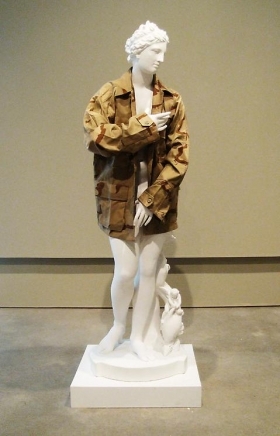 This exhibition, consisting of works from 1987 through 2002, explores camouflage as part of a dialectic between war (or culture, for Finlay) and nature. Language is the central subject of Finlay's works. 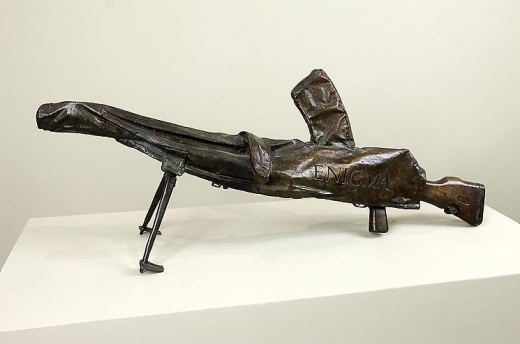 A writer of Concrete poetry—a genre that understood the visual arrangement of words to be just as important in a poem as rhythm and rhyme—Finlay took literally the Greek word poiesis, meaning "making," and fused words with sculpture. 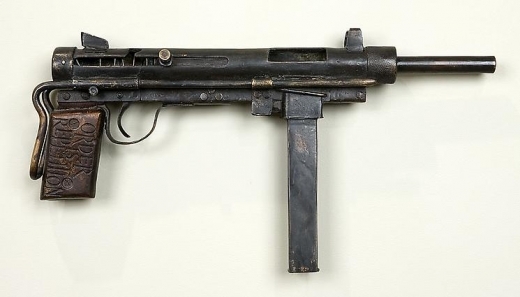 These inscribed objects have not only appeared internationally in galleries and museums but also throughout his most well known work of art, the garden of Little Sparta, located outside of Edinburgh. Containing flowers, trees, grasses and bodies of water, Little Sparta could be considered the artist's greatest epic poem. Finlay began the garden with his wife Sue in the 1960s, and Scottish artists collaborated with him to create the objects for the garden, which he purposefully placed throughout the landscape to conjure up other worlds. Finlay was not only a poet and a visual artist, but also a philosopher and historian. He was interested in Western culture generally, and he made the garden of Little Sparta a locus of multifaceted representation of the ideas that emerged from his lifelong study of the history of gardening, Modern art, the French Revolution, Classicism, the technology and aesthetics of World War II warfare, and the sea. Little Sparta represents Finlay's pointed critique of the modern sculpture garden, whose environment was by definition at odds with the art objects placed therein. Words, ideas, and objects are in constant discourse with nature in Little Sparta. Finlay founded Wild Hawthorn Press with Jessie McGuffie Sheeler, initially to introduce contemporary artists to Scotland, and over time it came to exclusively produce Finlay's books, pamphlets, and prints in small editions. In the graphic works, words become pure signs. Through collaborations with typographers and printmakers, Finlay composed clever, piercing, printed works with terse puns and phrases that sparked tension between words and things. 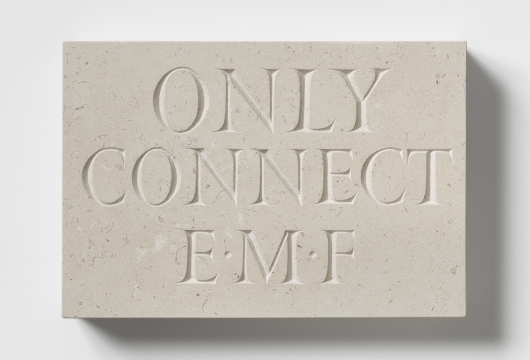 Ian Hamilton Finlay's works have been featured in exhibitions worldwide and they appear in public as well as numerous private collections. 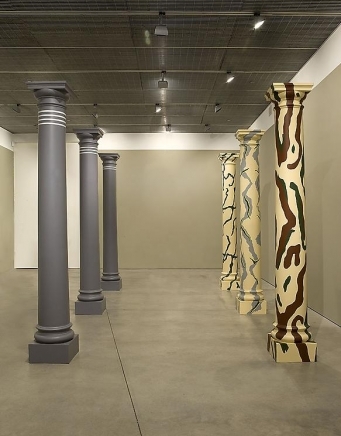 This is Finlay's seventh exhibition with David Nolan Gallery.